Microsoft Dynamics CRM is a simple to learn and use CRM solution that helps your business find the insights needed to respond quickly and efficiently to the needs of your market. With over 3.5 million users and 40,000 customers worldwide, Dynamics is designed to help organisations attract, keep and develop profitable customer relationships. Microsoft Dynamics CRM delivers a wide range of benefits including simple point-and-click configurability, scalability and easy integration with existing applications and databases. It’s familiar interface and design help boost user adoption, making CRM an indispensable part of your company culture. 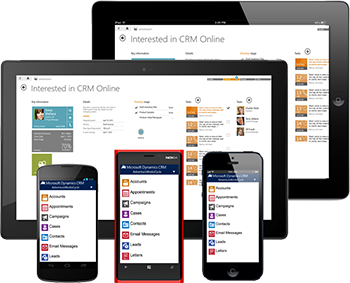 Microsoft Dynamics CRM functions on a next-generation native Microsoft Outlook client, offers browser-based and mobile access, and advanced user personalisation. An approach designed to improve user adoption and ease of access to information. 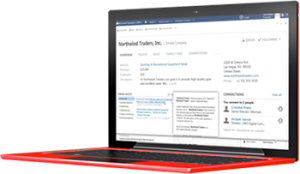 All email messages, meetings, contacts and customer information can be managed through one central location with the native Microsoft Outlook client. Preview panes, contextual Office ribbons and key office features including mail merge and Microsoft Excel export/import. Customise and extend CRM to meet your organisation’s unique needs, using role-based forms, personal views, drag-and-drop customisation and intuitive developer tools. Performance and goal management are aided by Microsoft Dynamics CRM’s in-line business intelligence, guided process dialogues aid users, and real-time dashboards keep your sales, service and marketing teams up-to-date, ensuring they can do their jobs effectively. Real-time dashboards are available out-of-the-box or configurable to your needs, supported by drill-down analysis and in-line data visualisation. 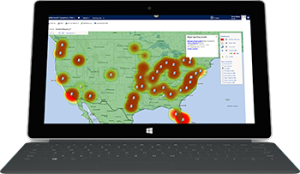 Using Microsoft Dynamics CRM’s intuitive segmentation tools, conditional formatting and powerful reporting your organisation can identify new opportunities and trends. Use guided process and workflows to streamline approvals and improve consistency and best practice adoption. Improve information flow and achieve operational efficiencies using Microsoft Dynamics CRM’s bulk data import, activity auditing and field-level security. Microsoft Dynamics CRM can be configured to meet specific business needs through its cloud development, Windows Azure interoperability, Microsoft SharePoint capabilities and the new Microsoft Dynamics Marketplace. Easily create marketing collateral, sales proposals and customer contracts with integrated document management and version control. Develop internal collaboration with team record ownership, comprehensive queues and real-time communication tools whilst identifying new business connections and gauging online influence with the Connections feature and social capabilities. Robust portal solutions better enable customer self-help and the streamlining of event management processes. Using the offline client or any web-enabled mobile device, your staff can gain easy access to CRM data and features outside of the office. Microsoft Dynamics CRM helps you spend more time selling and less time on administrative tasks.With impressive functionality such as full lead to cash visibility, lead and opportunity tracking, streamlined approvals and real–time sales forecasts, Microsoft Dynamics CRM enables sales people to create a single view of the customer. 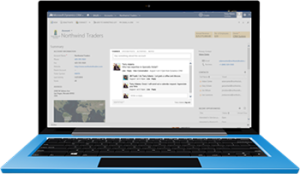 Learn who is buying what from your company through using Microsoft Dynamics CRM. Create account, contact, lead and opportunity records in order to segment your data and improve targeting and reporting.Convert quotes into sales orders with ease and confidence using built-in version control. Respond to demands from your customers as they arise, with quote and order tracking – helping you to provide high levels of service time and again. Microsoft Dynamics CRM provides a flexible and familiar marketing solution for your staff that helps transform every point of contact with your leads, prospects and customers into a marketing opportunity. Track marketing campaign activities and monitor campaign performance with built-in marketing functionality. Campaigns can be tracked from inception to close, with leads assigned to the right resource as soon as they arrive, and full budget and cost analysis information can be accessed to keep your marketing efforts on the right path. Using Microsoft Dynamics CRM’s marketing tools you can effectively focus your organisation’s marketing efforts and execute targeted campaigns using intelligent list and segmentation tools. Microsoft Dynamics CRMs familiar functionality and interface helps users to work within the CRM system in a natural, personal way. Customer services professionals are informed with insightful and actionable intelligence, allowing for a collaborative and connected organisation. With Microsoft Dynamics CRM your customer service professionals can offer superior customer support services and increase their capacity to handle requests. Track requests, manage support issues from inception to resolution, and provide effective and efficient customer service throughout the customer experience to ensure satisfaction. 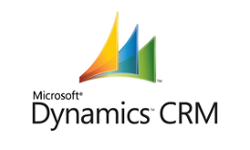 Perhaps unsurprisingly, Microsoft Dynamics CRM features excellent integration opportunities with Microsoft Office. Word, Outlook, Excel, and data-sharing tools such as Microsoft SharePoint, and Microsoft SQL Server Reporting Services can all be integrated fully with Microsoft Dynamics CRM. Seamless integration between dotMailer’s powerful email marketing system and Microsoft Dynamics CRM system creates a powerful, time saving solution for aligning email marketing campaigns with the exact needs of the individual customer and prospect. Create and send precision email marketing campaigns and save valuable time updating and maintaining data. 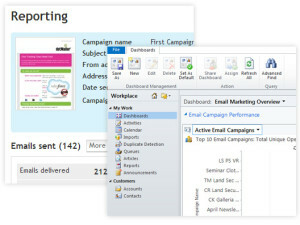 A single view in the CRM system of email marketing contact history, giving a detailed and instant knowledge of a contact’s interaction and engagement. Synchronise Dynamics CRM Marketing lists with dotMailer address books, reducing time managing data. Execute and track email campaigns from within Microsoft Dynamics CRM. Personalise your emails with any data fields from Leads, Contacts and Accounts within CRM – this cuts out the need for manually updating your marketing database and saves precious time creating responsive, personalised campaigns. Query and create precisely targeted segments using any CRM data you hold – now you can send email messages based on any interaction a recipient has had with your organisation, from a purchase to a click-through, to a conversation. Integrated unsubscribe management – updates your customers’ opt-ins and contact preferences in real time and lets you utilise all your customer touch-points to keep your marketing database scrubbed clean and responsive. Integrating Microsoft Dynamics CRM with HubSpot marketing automation improves sales productivity, enables closed-loop reporting for marketing, and helps you to convert more and generate more leads. Get leads generated from your website into Dynamics CRM with information on the lead’s source, website activity, geography, etc. Assign leads based on the marketing campaign, form submitted, lead grade, geography, etc. Qualify and connect with leads based on the lead’s website activity and interests. Get instant-email notifications when your leads return to your website. Determine which marketing campaigns are not only generating leads, but sales. Reporting closed/won statuses in Dynamics CRM back in HubSpot as conversion to customers so you can see which campaigns are producing traffic, leads, and customers. Use HubSpot’s landing pages, lead nurturing, and email marketing tools to get your web leads more sales-ready. Within Dynamics CRM, assign or prioritise only the leads that convert more than once. Use HubSpot’s CMS, blogging, search engine optimisation (SEO), and social media tools to generate more traffic and leads from your website. As a leading Customer Relationship Management platform, Microsoft Dynamics CRM connects with a vast number of different applications and programs, with official and 3rd party created integrations. If you are looking to integrate Microsoft Dynamics CRM with other systems in your organisation, talk to our team today to discuss the possibilities. Microsoft Dynamics CRM requires at least the following for its servers to run: Processor – x64 architecture or compatible dual core 1.5 GHz processor, Memory – 2GB RAM, Hard Disk – 10GB space. Take out an annual support contract with Collier Pickard for full access to remote, online support, help desk support and onsite support where necessary. Get priority assistance for issues large and small. Buy support hours up-front, charged at an hourly rate. Access to help desk and online support. Not sure which system is right for you? Ask us!